The friendliest, most frightful fun fest in the UK! 5th October - 4th November 2019. All activities included in Park entry tickets! Happy Halloween at Paultons is the friendliest, most frightful fun fest in the UK; with over 4000 pumpkins, ghostly scenes, spooky meet and greets, Freaky Fancy Dress competition, the thrilling Little Monsters Ball finale to finish each day and Paultons fun rides and attractions all included in the price! 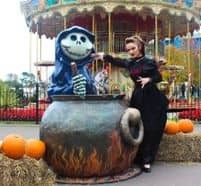 Happy Halloween at Paultons Park has even more spooky fun to enjoy with a spook-tacular show and a comically frightful walk-through experience. 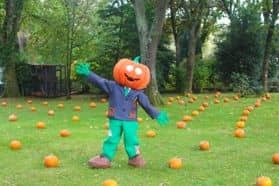 This theatrical show follows the exploits of the intrepid Spirit Squad as they try to help Pickles the Pumpkin solve the mystery of the fabled Paultons Manor house. 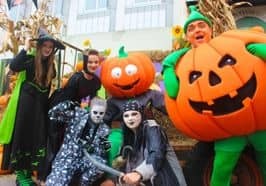 There will be plenty of laughter and fun along the way as the elite team of Ghost-hunters track down the Creepy Gatekeeper so Pickles can throw the best Halloween party ever! Get ready for an all singing and dancing extravaganza featuring spectacular illusions and slapstick comedy! 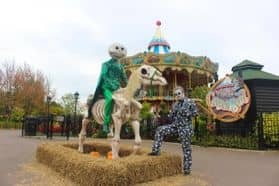 Families of all ages will love the fun scenes and mysterious happenings as they make their way around the ghoulishly delightful farmyard barn! Don’t forget to stop and say hello to the cheeky Cornelius Cob and the one and only Professor Pumpkin! 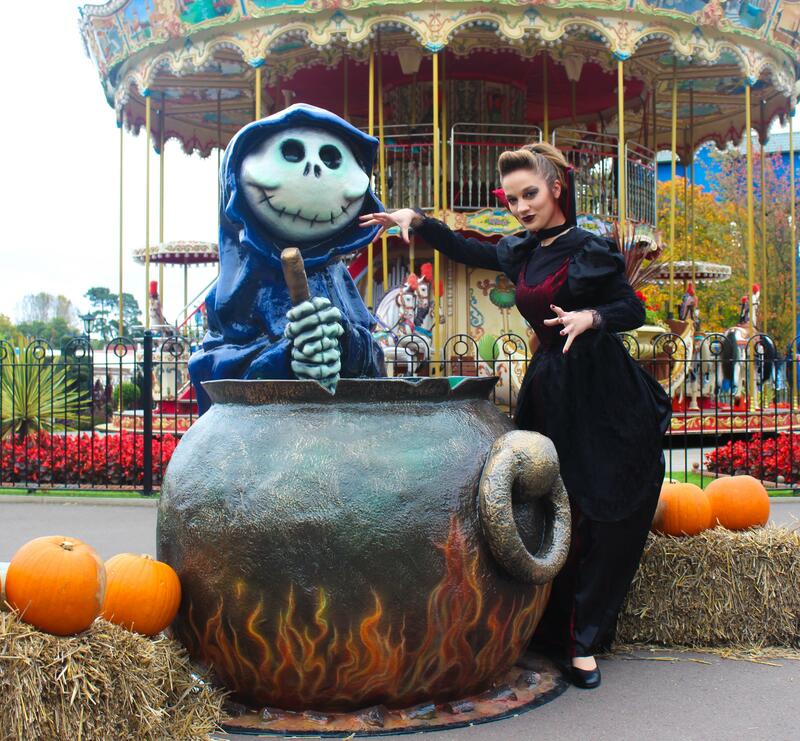 With shows throughout the day Happy Halloween at Paultons is bigger and better than ever! Don't forget to download the Paultons Park App on iOS and Android for live show and queue times during your visit! Flash photography and smoke effects are in use inside the Big Boo Barn attraction.